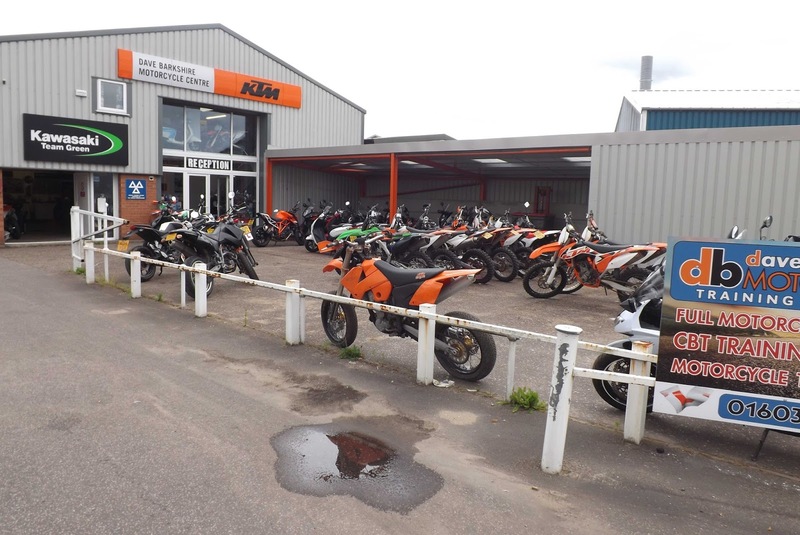 This summer is seeing exciting times for both Dave Barkshire Motorcycle Centre and Used Bikes and Dave Barkshire Motorcycle Training, although the weather has been particularly unkind to our Hit The Dirt Off-road Practice Track, with rain causing repeated closures. There have been exciting times at Dave Barkshire Motorcycle Training. In addition to a flurry of eager riders taking their tests, our training ground has been given a bit of a makeover. The ground’s had a great new paint job courtesy of Cullum Line, so a massive thanks to them for doing such a great job! 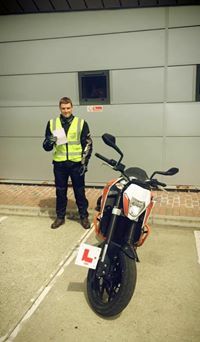 We’ve had a number of riders successfully completing their CBT courses in recent weeks, including a great young rider, George, who demonstrated excellent awareness and safety on his ride around Norwich, despite only be 16 years of age! Other successful CBT riders, included father and son Ricky and Adrian, James, Sally, Louis, Jamie, Jo and John – well done to you all! A large number of riders have also passed their Mod 1 tests recently with impressive results. Clean sheet passes were achieved by Steve (despite wet conditions), Chris (who was thanked by the examiner for a pleasant ride and told, "that's how a mod 2 should be done"), Shane and Marcus. Other successful riders included Oli, Jo, Jason, James, Mark, Sam and Saichong. Ride safely guys – and enjoy! The latest Mod 2 passes have been pretty impressive too! James completed an outstanding test and we’ve never seen anyone remove his ‘L’ plates so quickly! Paul was equally relieved to pass in time for a planned ride to Wales on his new Lambretta, whilst brothers Tony and Carl also enjoyed success. Sam, Mark and Craig were all had cause for celebration too. Congratulations to all of these great riders! We love to see so many safe and successful riders pass through our doors, with many enjoying first time passes following our training courses. 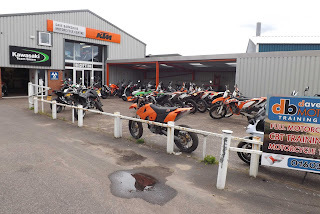 Do you want to become a competent motorbike rider?